HeyPlantMan! 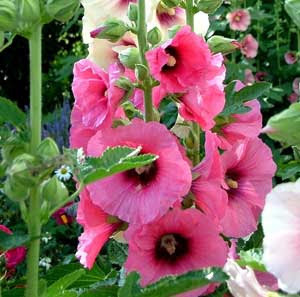 Exotic Tropical Plants from St. Pete FL: Hollyhocks! Tropical Hollyhocks ! Yes, Hollyhocks DO grow in Florida. These are not the typical "up north" Hocks, but a perennial here in Florida. We have provided them for 2 plus years and they do great here..love sun, provide tons of seeds and will keep growing and producing. We heard that Disney World in Orlando is putting hundreds into their landscaping! We have other colors coming, after the New Year.